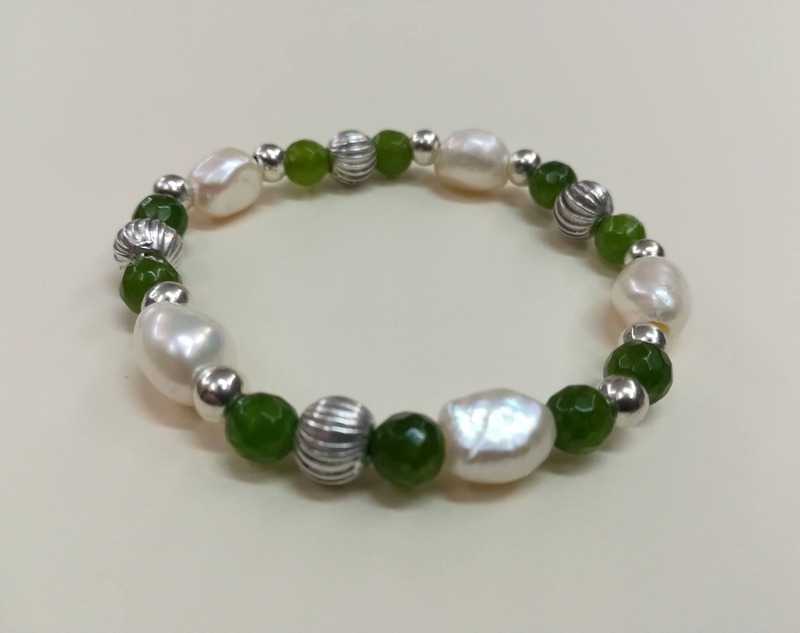 Elastic Bracelet of Cultivated River Pearl, agate and Zamak. Tough Thread. It can be made to measure.